One of online trends today involves communicating through Social Networks. LinkedIn, an international growing network specializes in connecting professionals and building trust between them. You are competent to promote your company through your profile and increase your connections. 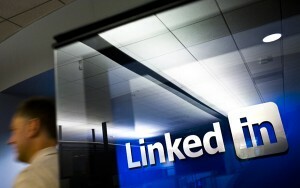 Now, what are the steps to leverage your LinkedIn account? 1. Include your company name with your current position to show your commitment to the company. 2. Use the company logo in your profile to visually bond your profile to the site. 3. Use not only the website link, but add descriptive keywords for your connections to identify with the links content. 4. Write in your company summary, profile summary, and even in the job description, a short company description, including the keywords; this way, you will guarantee that LinkedIn members will find you. 5. Manage to connect with other professionals on LinkedIn in order to locate prospective customers and most importantly recommend your contacts to connect to LinkedIn. 6. Share posts and information about your company and definitely don’t sell your services, your purpose is to drive your connections to the site and add value. 7. Link power points or blogs to engage more with your connections. 8. Promote events that your company is hosting or attending. 9. Answer the questions asked by the connections, relying on your expertise and knowledge; who knows, your answer might be selected as the best answer and initiate discussions. 10. Follow your own company before following anybody else’s, and let your colleagues employ these same steps. Eastline Marketing has been providing social marketing consultancy for various clients. Contact us to learn how we can help.